Built in 1976, by J.M. Martinac Shipbuilding Incorporated of Tacoma, Washington (hull #207) as the Point Fermin for the Wilmington Transportation Company of Los Angeles, California. 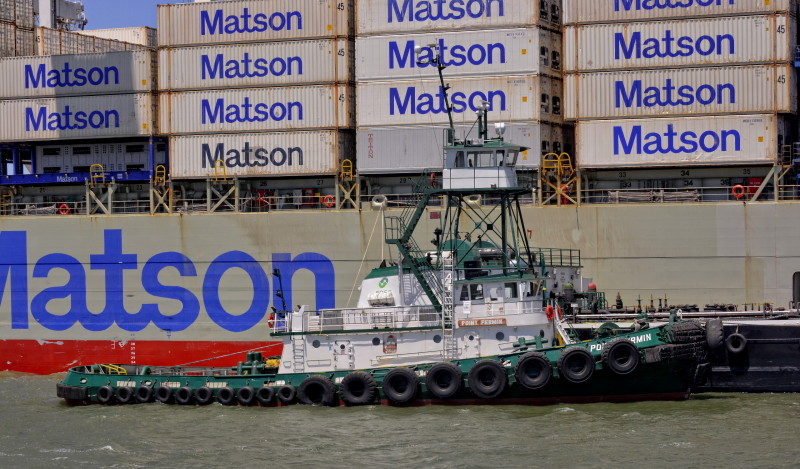 In 2003, the tug was acquired by the American Navigation Company of San Francisco, California. Where the tug was renamed as the Defiant. In 2005, the American Navigation Company was acquired by the Foss Maritime Company of Seattle, Washington. 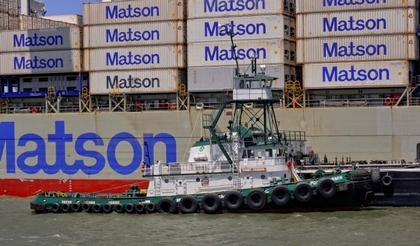 The company became AmNAV Maritime Services of Oakland, California. Where the tug retained her name. In 2009, she was transferred back to the Foss Maritime Company of Seattle, Washington. Where she was renamed as the Point Fermin. Powered by two, EMD 12-645-E2 diesel engines. With Falk 1630 MRVDF-C reduction gears, at a ratio of 4.9:1. Turning two, five bladed, 82(in) by 108(in), fixed pitch propellers. For a rated 3,000 horsepower. Her electrical service is provided by one, 40kW generator sets. Driven by a Detroit Diesel 4-71 diesel engine. And two, 60kW, Sundstrad hydraulic generator sets. The tug's capacities are 67,627 gallons of fuel, 1,743 gallons of hydraulic oil, and 3,186 gallons of water. The deck equipment consists of a 40 horsepower, electric, double drum windlass. Outfitted with 200(ft) of SSR-1200 ship wire, on each drum.